The term heavy metal refers to a metal with a relatively high density, specific gravity greater than about 5.0. While living things require trace levels of some heavy metals such as cobalt, manganese and zinc, other heavy metals such as lead, mercury and arsenic have no beneficial properties to living things. In fact, exposure to such heavy metals may cause serious health effects. Adya products reduce lead, mercury and arsenic in water. Lead is a metal that was used in products found in and around homes for many years. Lead may contaminate water through corrosion of natural deposits, metal water taps, interior water pipes, or pipes connecting to a house. Even low exposure to lead may results in a variety of health effects including learning disabilities and behavioral problems in children. Young children (6 years and under) are at the most risk as their brains are still developing. For adults, drinking water contaminated with lead in excess may lead to kidney problems and high blood pressure. Mercury is a liquid metal that may contaminate water through erosion of natural deposits, discharge from refineries and factories and runoff from landfills or croplands. 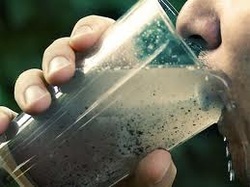 Drinking water contaminated with mercury in excess may lead to kidney damage. Arsenic is a tasteless and odorless metal that may contaminate water through erosion of natural deposits, runoff from orchards and electronic production wastes. Arsenic has been linked to a wide range of serious health effects, including several forms of cancer such as bladder, lungs, skin, kidney, nasal passages, liver and prostate. Non-cancerous effects may include stomach pain, nausea, diarrhea, numbness in hand and feet and discoloration of the skin.